Out the front you can purchase traditional sweets and biscuits, and a small display of fake food (a common sight out the front of cafes and restaurants in Japan) shows some of the things you can order to eat at the cafe at the back of the shop. We had seen several places selling great looking matcha parfaits the evening before, and were on the hunt for these the next morning. 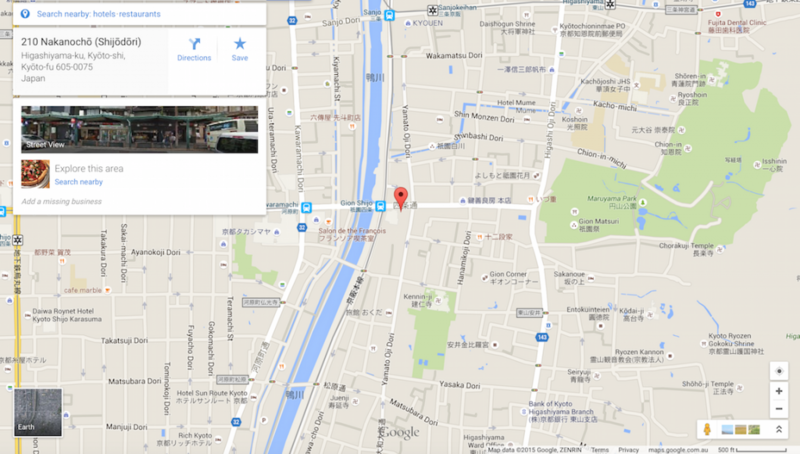 At the time that we were looking, a lot of cafes hadn’t opened yet, and we were happy to find that Kogetsu was open. We ordered iced green tea matcha drinks. These came unsweetened, with a little pot of sugar syrup to mix into it if desired. The iced matcha was refreshing and tasty. We also ordered green tea matcha parfaits. They were presented beautifully and tasted great too. 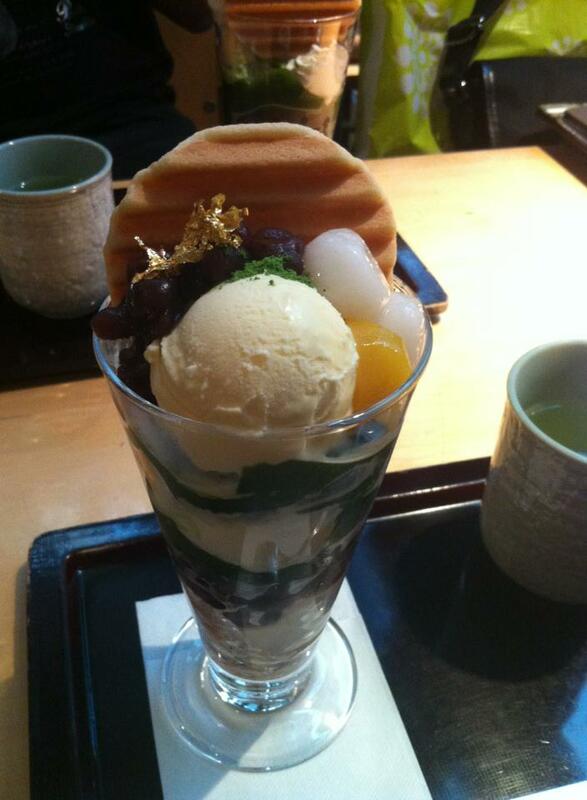 In fact, we’d rate these as some of the nicest parfaits we’ve eaten (a big call, as we eat a lot of parfaits in Japan). 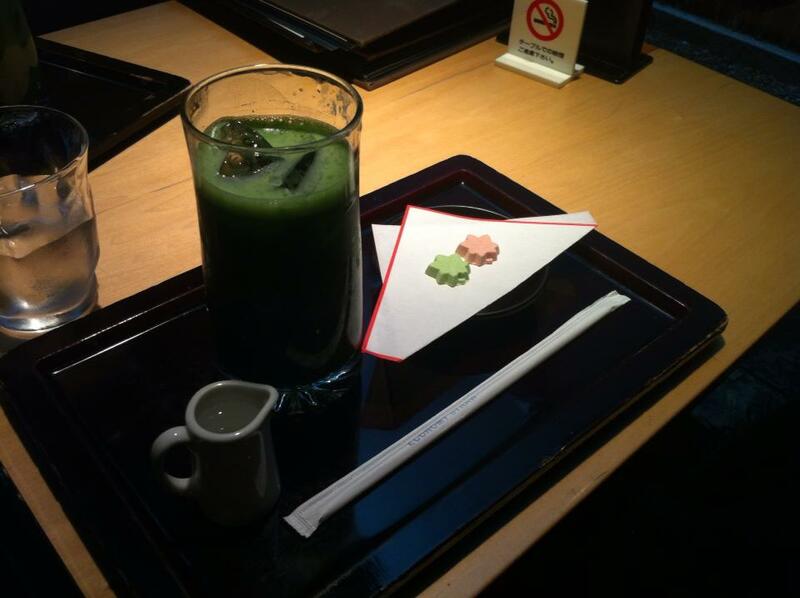 The parfaits came with hot matcha as well – I guess the moral of the story is that you can never have too much matcha! The parfaits consisted of vanilla and matcha ice-cream, traditional jellies, red bean, herbal jelly, one of the biscuits which you can also buy in the store out the front, and were topped with gold flakes. 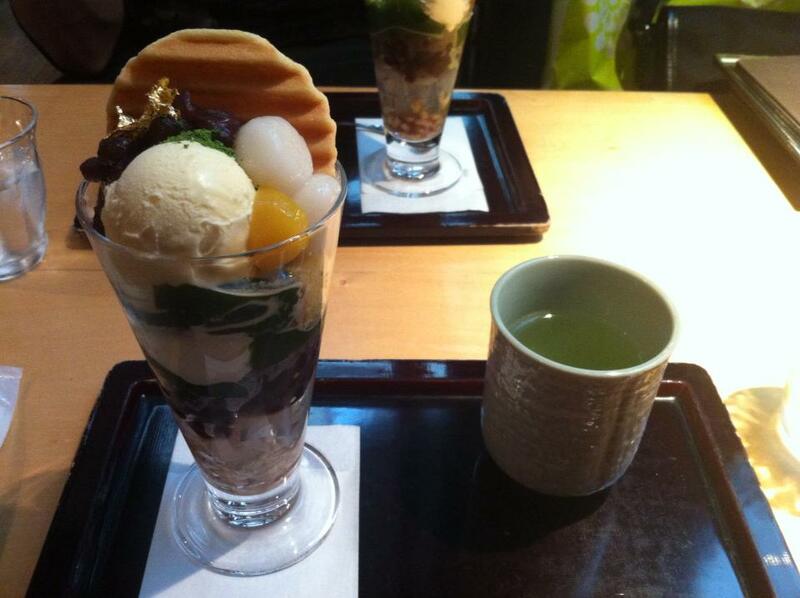 Would I recommend Kogetsu for a green tea matcha parfait? I would absolutely recommend Kogetsu. 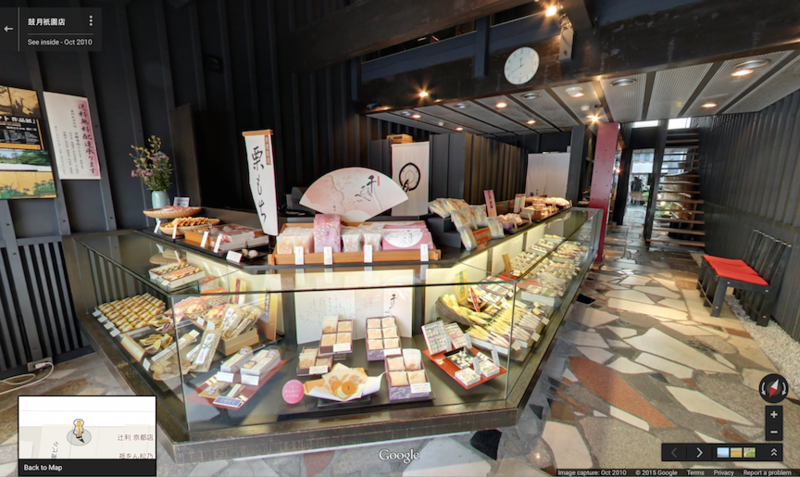 It’s right up the top of my list for when I return to Gion some day. 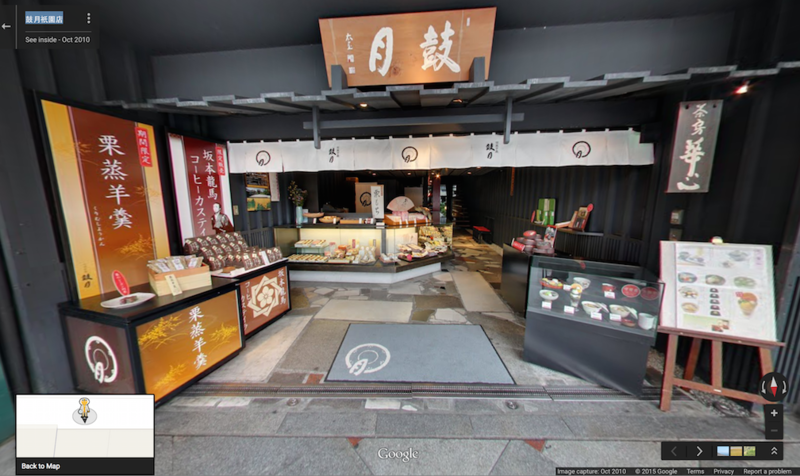 There are a few other well-known parfait places in the same area, such as Gion Tsujiri, Gion Koishi and Gion Kinana, and most of them sell fairly similar parfaits. I’m recommending Kogetsu because that’s the one I ate at and it was excellent. We also bought some some biscuits to take home to Australia as gifts, as these are also very nice. If you have room in your luggage, I would definitely recommend buying some treats to take home, too. 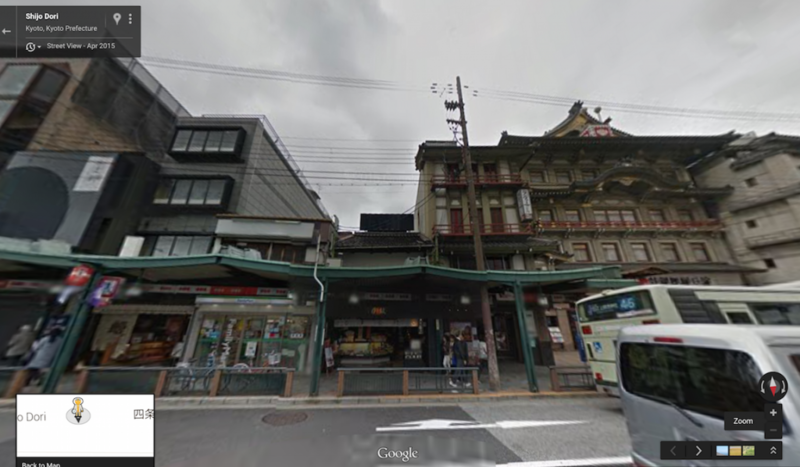 For reference, if you’re coming from the Yasaka Shrine, so that the shrine is behind you (the big green area on the above map), Kogetsu will be on your left. Walk for a while past lots of shops and restaurants, and you should find it just a little before the river. Keep an eye out for the black walls – this will help to distinguish Kogetsu from some of the other similar places.